Welcome to INDO PLUMA PENS ! Indo Pluma Pens is a brand of Inzinc Products and Services which is a leading Products and Services Organization from Bangalore, India. Under the Indo Pluma brand we sell a wide variety of pens with reasonable cost and Quality. 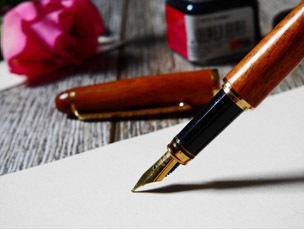 We have an enviable collection of Fountain pens, Roller ball pens and Ball pens that provides the best writing experience for our esteemed customers. We also sell Quality Fountain pen inks in India and abroad. We are passionate when it comes to Customer Service and our team ensures that our customers get the best experience from every shopping that they do with us.